The plan would convert the now-vacant Mira Loma Detention Center in Lancaster into a new 1,604-bed women’s jail. 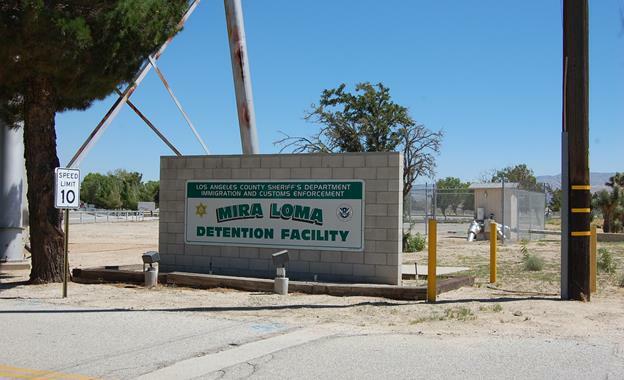 LANCASTER – The Sheriff Civilian Oversight Commission voted unanimously Tuesday to urge the Board of Supervisors to reject the proposed women’s jail at Mira Loma, dealing another major setback to LA County’s plans to build a new women’s facility in Lancaster. Earlier this month, the Board of Supervisors postponed a decision to move forward on a construction contract for the new women’s jail citing concerns about the location and inadequate planning for the facility. The resolution noted that Mira Loma was approximately 70 miles from Central Los Angeles, burdening families who want to visit. While acknowledging the potential loss of $100 million in state grant funding, Commission members saw the sacrifice of the funds as warranted, given the County’s current commitment to diversion, education, mental health and rehabilitative programming. The Sheriff Civilian Oversight Commission provides ongoing analysis and oversight of the Department’s policies, practices and procedures and they advise the Board, the Sheriff’s Department and the public. 5 comments for "Civilian Oversight Commission votes to oppose women’s jail in Lancaster"
The County Womans Jail proposal was about as foolish of a plan as they come from educated people and our politicians. Not only would it of been a hardship on LA families, it would of put more pressure and costs on the system. More delays and higher costs in court, higher overtime with sheriff. Transportation costs. More road and freeway congestion and smog(not thinking green). Sending 95% of LA Woman inmates to AV made No sense. But sadly millions of taxpayer money was spent(wasted) on plans and studies for over 5 years. This $100 million should be spent on a common sense proposal. Build county jail for AV county inmates(men and woman)to keep them in AV. Saving taxpayers money and preventing hardship on AV families that must travel 70 miles. Make it a model jail for the Nation with rehabilitation and education and job skill training county jail campus. Along with homeless facility to work and to help everyone in AV become productive members of society. I have been advocating for this for ten years. The only way we are going to help AV with its drugly and poverty problems is to have local resources for our people to treat them. We have 450,000 people, we deserve our own county facility that creates local jobs to get some the commuters of the freeway. Another win! Plus get federal funding to support it. Please talk to AV leadership about this common sense proposal folks. If we don’t have a plan for $100 million it will be taken away to invest somewhere else and AV will lose again!. Building the facility closer to Los Angeles makes sense for the clients and their families. After giving your comment a little more thought, I wonder if you’re a “co” that abuses your position, by taking your extreme anger issues with life, out on the women inmates????? Those of us that have been there know that goes on too often. Women’s needs are different than men’s needs because, well, we’re women. I was one of the women that you choose to denigrate with hateful words, and now I am a productive member of society. I can say that there are those few that a person encounters, that care deeply about us as individuals, and make a positive difference in the lives of the broken ones. Now I give back, so you see, Mrs. Hunt, there is another side. The Sheriff Civilian Oversight Commission are a bunch of c_nts! And WTF does “their needs are different than men’s“ mean. Bunch of crack whore b_tches! This is jail time!